Protective right reserved on oil aeration apparatus and procedure. Over the last several years we have been pushing the development of a quantifiable way to enrich the gas concentration in fluids. 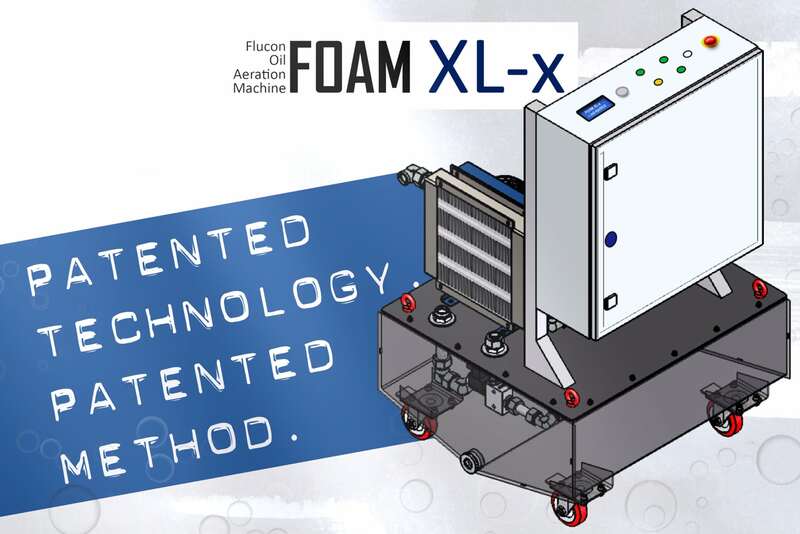 This lead to a unique technical procedure and to the Flucon Oil Aeration Machine FOAM, which we have been selling to customers from all around the world for their advanced aeration testing. Team flucon welcome their latest professionals. 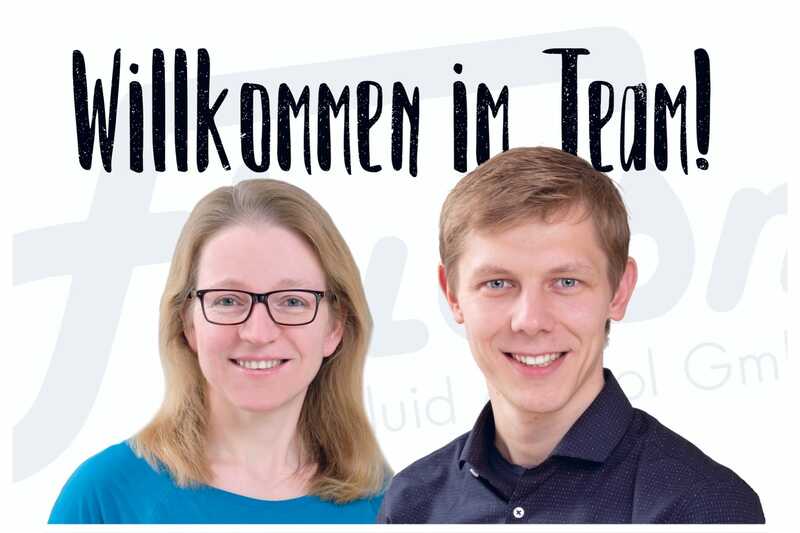 May we introduce to you: Ms. Schilling and Mr. Richter. Starting on November 1st these two young talents reinforce our company in divisions that have been showing constant growth. Aachen was a lot of fun! 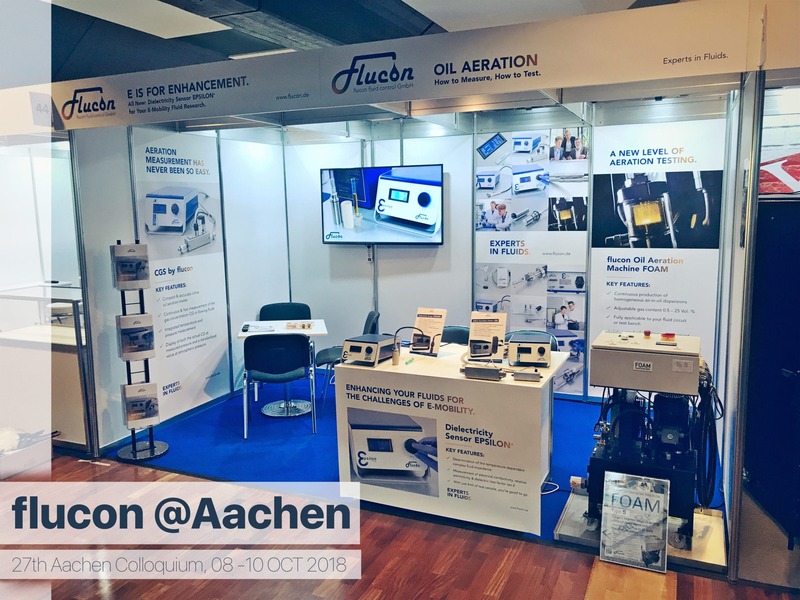 flucon’s trip to the 27th Aachen Colloquium in retrospect. Last week our team went to Aachen to present our latest systems at the annual exhibition. From automobile makers to powertrain companies and research facilities, visitors had a lot of innovative products and concepts to look at. For three exciting days filled with profound discussions over groundbreaking technologies Aachen appeared once again as the capital of German engineering. Being a small part of that flucon was proud to participate and show what their knowhow is all about. 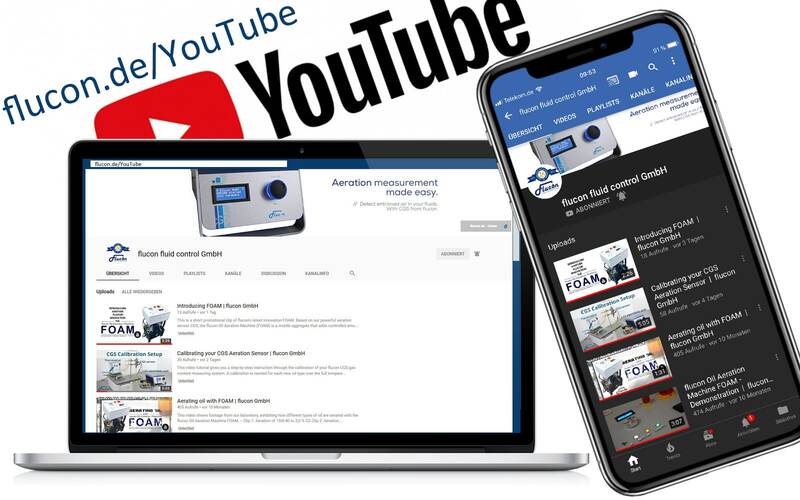 Now online: our new YouTube channel. Either for product presentation or in the context of operating instructions – there will definitely be those among our customers or prospective buyers who prefer leaning back and watching a short video to the effort of studying an extensive brochure or working one’s way through various chapters of a handbook on “how to use it”. The second generation of innovation. The passion for fluid measurement technology has lead the flucon fluid control GmbH in its 27th year. In our company, tradition and high-tech form a dynamic unity – this applies to our innovative measuring technology as well as to our company structure. As of June 2018, flucon Executive Dr. Bode gave the younger generation the lead. 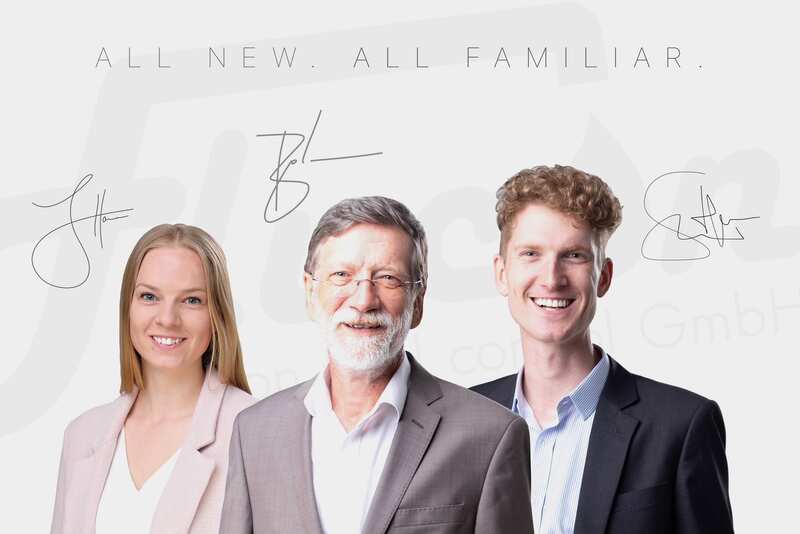 While it will be his pleasure to stay available to you and the company as an advisor, he has proudly passed on the management of our high-tech family business to his twin children, Ms. Johanna Hausner and Mr. Simon Hausner.